Wake up every morning to wonderful views! 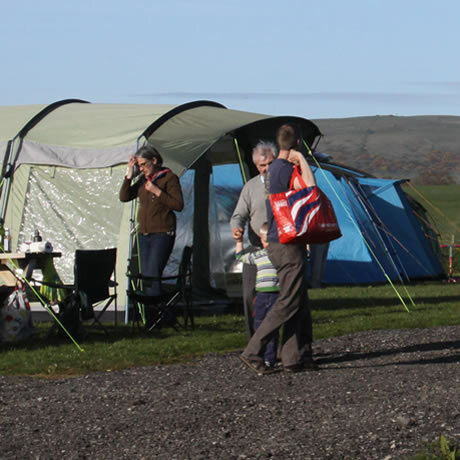 Our spacious site is a certified Camping & Caravanning Club hideaway site and can accommodate up to 5 caravans/motorhomes and 10 tents. Our pitch fee is £15 per night for upto 2 adults and 2 children, including electricity hook up if required. Between Easter and end of September (weather permitting) we have a stunning Safari style tent. If you are looking for a unique and beautiful get away our tent is perfect for you. 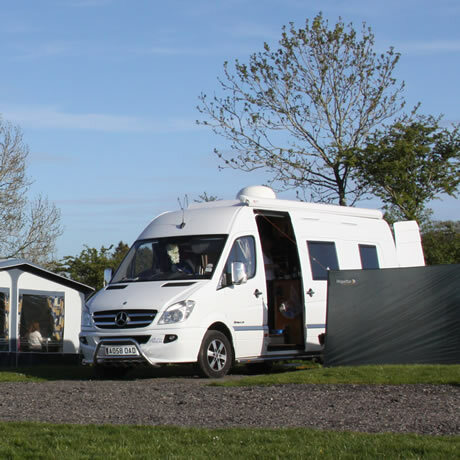 We can offer you camping but with the luxury of a comfortable double bed with bedding to relax in after a day exploring all the stunning Western Lakes has to offer. Step outside onto your own private decking for panoramic views of our local fells and straight towards Skiddaw. 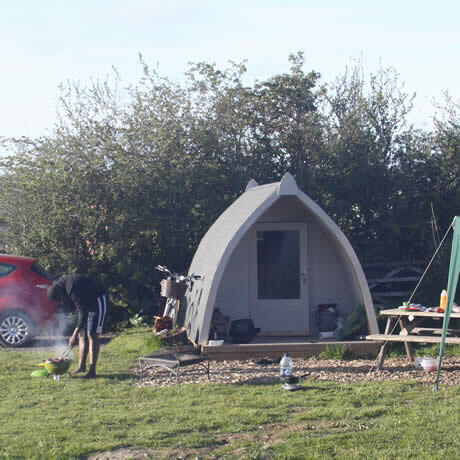 Inside the tent is a very comfortable double bed with bedding, bedside cabinet, Ratan rug on the floor, lighting from fairy lights on the ceiling and a bedside lamp, there is a toaster, kettle, 2x plates, bowls, mugs, cuttlery and a electric point. The tent is set up for upto 2 people sharing a double bed, there is room for a put up bed or travel cot to accommodate children, please get in touch with your requirements and I will be happy to help. Outside to enjoy the beautiful scenery is a table & chairs and chiminea. 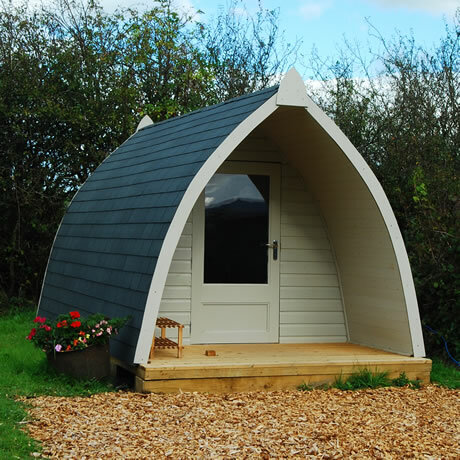 The tent is priced at £45 per night, for availability and bookings please email or call and I will be happy to help.